You must select the right graph(s) and specify the source and target folder for copying the selected graph(s). By switching the radio buttons, you decide whether a complete folder structure or only selected folders should be created. You can also order to overwrite the existing sources without warning. 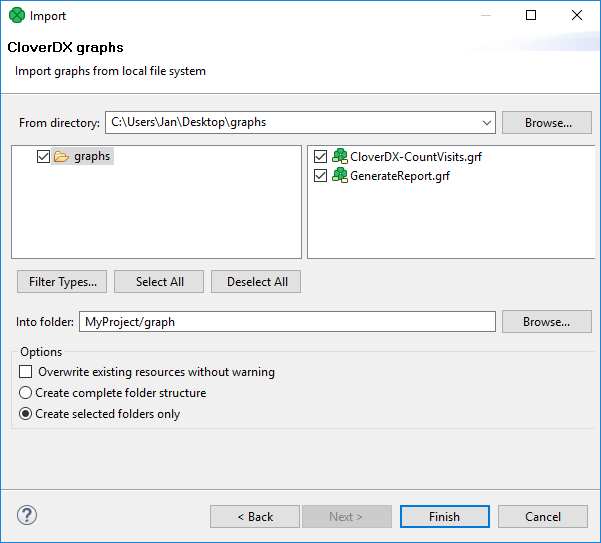 You can also convert older graphs from 1.x.x to 2.x.x version of CloverETL Designer and from 2.x.x to 2.6.x version of CloverETL Engine.